Ms. Kwemo is Managing Director of Washington Media Group , a firm that provides government relations, Advocacy, Media relation and public affairs services international trade advisory and strategic advice to multi-dimensional entities. She is also Founder of Believe In Africa, an organization aiming at promoting there role of the private sector and empowering Women and youth. A native of Cameroon, she started her career in France at Bestaux Law firm. 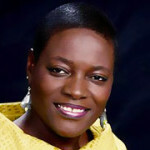 In Douala, Cameroon, she served as the Chief of the Maritime Claims and Disputes Department, and later as the General Counsel for Bollore Technology Group and Geodis Overseas. She worked for seven years in the U.S. Congress as Legislative Counsel for two members of the House of Representatives, including Rep. Bobby L. Rush, Senior Member of the Energy and Commerce Committee. Ms. Kwemo was instrumental in the U.S. Congress and played a key role in policy formulation on issues affecting the global economy. She worked tirelessly on the passage of legislations to increase U.S. – trade relations. Ms. Kwemo was President and Founder of the Congressional African Staff Association which aimed to educate Members of Congress, Senators and their staff on the positive progress of Africa. Ms. Kwemo has received a number of recognitions for her exemplary work, including the DC Government’s Public Service Award, a citation from Maryland’s Governor Martin O’Malley, the “50 Most Powerful Women in Business Leadership Award” by the Minority Business Magazine, and was named one of the “World’s Most Influential Africans in the Diaspora” by Paris based Africa 24 Magazine and 50 most Inspiring African by Inspire Africa Magazine. She is author of the book “Against All Odds: How to Stay On top Of the Game” and is regularly published and featured in international news, including Forbes Afrique, Le Point, Inspire Africa, Voice of America TV (VOA), France 24 TV, Africa 24 TV, Comcast TV, China Daily, and Africa Report. Ms. Kwemo seats on the Selection Committee of the Tony Elumelu Entrepreneurship Program. She holds a Bachelor’s and an LLM degree in Economic Activity Law from the University of Rouen in France and a LLM degree in International Business Transactions and Human Rights Law from Washington College of Law at American University in Washington D.C.